Update your kitchenware with The Pioneer Woman Ceramic Bakeware Set. It can add a touch of elegance and functionality to the kitchen. 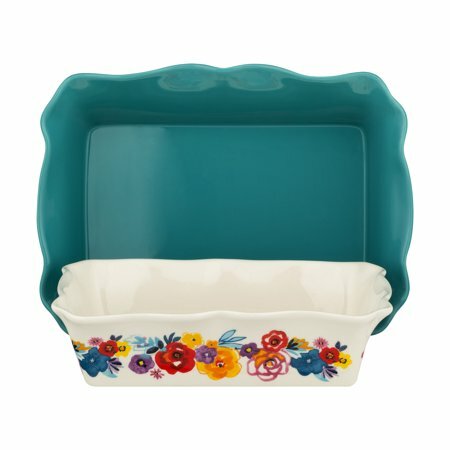 This Flea Market bakeware set includes two pieces with a turquoise baker and a floral baker. 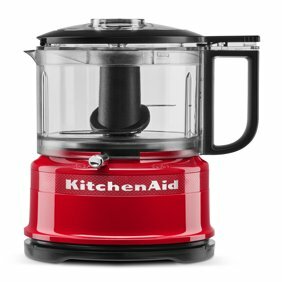 It's ideal for making and serving a variety of cakes, desserts and other oven dishes. Each piece has a rectangular shape with a ruffled top design. This dishwasher-safe bakeware set is also safe to use for cooking in an oven. It's made from a ceramic material and nests for easy storage. The glazed non-stick surface provides easy food release and quick cleaning. I received this as a Christmas gift from my husband and I just love it. 1st I just love The Pioneer woman collection. These are perfect to bake in, when I make BlackBerry cobbler it come out great and looks awesome. There easily to clean and it has a beautiful design so when having guest over you get completed. Love it! I have made several loads of bread and casseroles in them and they haven't stained, chipped, flaked, or had any problems. Sturdy but not unwieldy! Goes great with my turquoise and Willow line. Only thing I didn't like is my completely turquoise dish is much darker than I expected still looks nice but not the same shade as the turquoise knives or pots and pans sets from PW. These baking dishes are beautiful and very heavy. The colors are vibrant. I like the fact that they can go directly from the oven to the table or buffet. I'm looking forward to using them when guests come for dinner. Heck, I may use them for everyday meals! I had not seen any of the Pioneer Woman items and I love the turquoise color. I purchased these as a wedding shower gift for my niece. There are heavy. I was surprised. They were both nice size casserole dishes. I was also impressed with the packaging that Walmart did. They were in a box inside a box so they were protected against getting broken in shipment. I like them so much I am going to purchase them for myself. These casserole dishes are good quality. They're heavy and look really nice. This is the fifth set I've purchased. Everyone thinks they look really nice and I have given several as gifts. The Pioneer Woman collection not only adds color and variety to kitchen collection, it also is a great quality product. I ordered this item after reading a few reviews and I was positive it would've been perfect, but when I received it the colors were all wrong...:( however the items are pretty and they appear to be durable...the color of them in the photos don't match the item when you receive it...I was expecting a white and turquoise dish and the color appears to be more green...I'm disappointed, but am curious to know if there is a inconsistency in the product color. I bought this set but with a different design a year and a half ago. I live the set but the smaller dish gets new cracks in the glaze every time i use it. Ordered this set online twice and it was broke both times when it arrived, even though it appeared to be packed very well. Bought over $200 worth of the dishes that coordinate with this product line, and one of the plates ended up chipped after first use, one of the bowls is also cracked already. Have real concerns about the durability of this product, and would probably not purchase it if I had the decision to make over, even though I think they are beautiful. 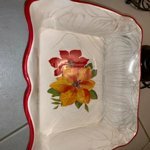 I absolutely love the style and the colors of these casserole dishes, but the smaller one cracked in the oven the second time I used it. I'm so disappointed! Dear TracyFP, thank you for coming by and sharing your review! We are very sorry to hear about your experience with your baking casserole. We encourage you to contact our Consumer Relations Team at: https://www.gibsonusa.com/contact_us_products.php and one of our representatives will gladly further assist you.